How Big is a Dissertation? 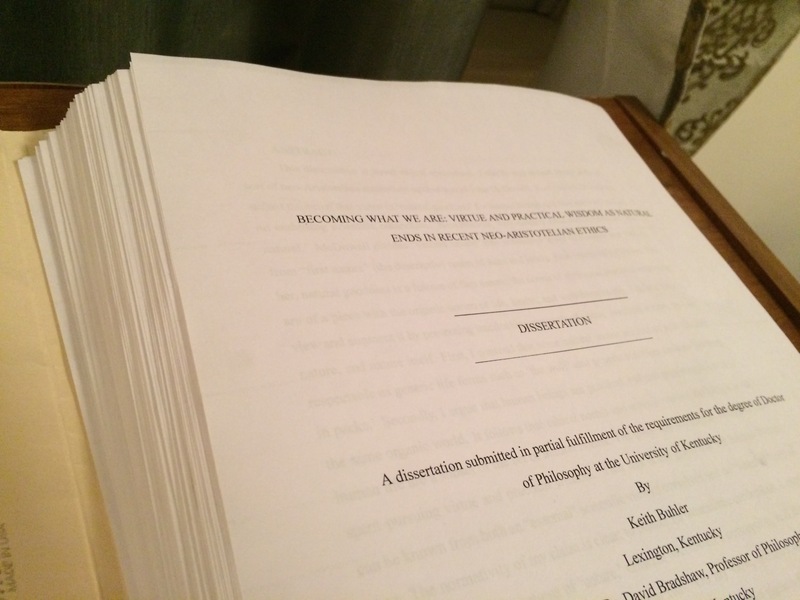 My philosophy dissertation was about 200 pages. Everyone knows that each discipline has different standards. History dissertations tend to be longer, and science dissertations tend to be shorter. The question is, how different? For example, history (275-300), anthropology (200-300), and political science (200-275) have the highest averages. Biostatics (90-120), mathematics (75-125), and economics (75-120) have the shortest averages. The vast majority, as is to be expected, were between 100-200 pages. The mean was 177, median 161, with a standard deviation of 90. Check out the rest of Beck’s interesting data set here.